Collapses of any kind are always a surprise, even when the warning signs were clear. Is the Christian community about to face the same collapse as the western world? 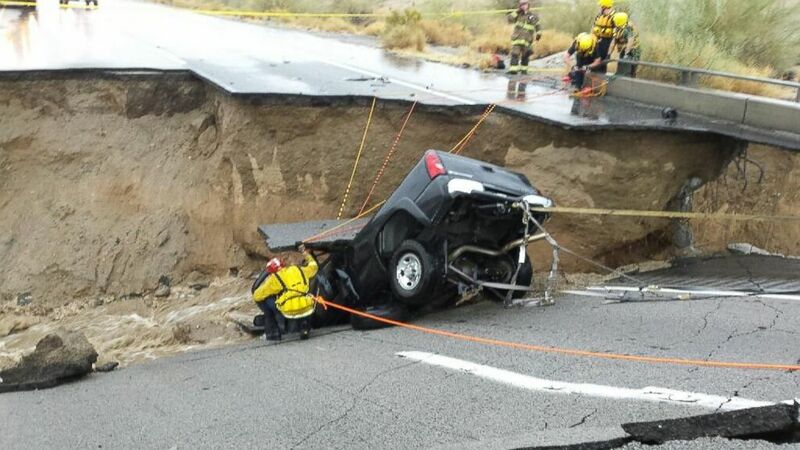 A bridge in California was washed out just a few months after passing inspection. The problem was erosion, not of the bridge itself but of the ground in which it was anchored, on a side never expected to be subjected to rushing water. Some see this as part of increasingly unpredictable and extreme weather; others speculate that it’s more than coincidence that it happened during the Jade Helm military exercise, since cutting off major avenues of escape would suit the purposes of martial law. But regardless of whether the cause was natural or nefarious, this incident is a good illustration of what has been happening to the Christian community since the apostles died in the first century. Erosion of the foundations of our faith happens in places no one watches, and causes collapse when no one expects. We have gone from true communities where none were poor (Acts 2:42-47), to disjointed factions where none are rich (Rev. 3:17). We put too much trust in people claiming to be authorities, and too little responsibility on ourselves to inspect their work (Acts 17:11). We admire the sturdy bridge but ignore its anchor points. Any system founded on the principles of this world (Gal. 4:3-5), rather than on Christ and the scriptures, is doomed to fail, likely at the worst possible time. More and more these days, it seems that the Bible is brushed aside in favor of the shifting sand of popular opinion, or it is twisted and mutilated until it appears to teach what people want to hear (2 Tim. 4:3-4). For example, people believe that Jesus taught love and affirmation of anything that used to be called sin, and that Paul was a fake apostle that opposed and twisted Jesus’ teachings. But neither of these claims is true. Jesus forgave the woman caught in adultery, but then said “Go, and sin no more” (John 8:11). To the crippled man Jesus healed, he said “Stop sinning, or something worse may happen to you” (John 5:14). Paul taught that sin is something we should consider ourselves ‘dead’ to (Rom. 6:2,11), and he went on to demolish the argument that grace is a license to sin (Rom. 6:15-16). But perhaps the most insidious erosion has been attacks on the Bible itself from scholars who love the praise of people more than the approval of God (John 12:43). While there is some room for legitimate debate over the matter of inerrancy, the content of the Bible is well established (see resources at this link). But all it takes is someone with credentials claiming that the Gospel was invented by a Roman family, or that the Old Testament was plagiarized from ancient myths, and today’s Christians quickly fall away, because they are not anchored in bedrock; they cannot be bothered to study the Bible themselves and rely instead on preachers and devotional guides to spoon-feed them. This is exactly what Jesus explained in the parable of the sower (Mat. 13:3-23). It is time for the Christian community to stop delegating our personal responsibility to study scripture (2 Tim. 2:15), and to learn enough ourselves to be able to discern true teachings from false. As it is, we swallow anything that tastes sweet and soft, and turn up our noses at meat and vegetables. And as a result, we have become sick and weak, all while declaring ourselves robust and healthy. Then, when we face a difficult situation or dispute, we take the easy way out, the way of the world, the wide road to destruction (Mat. 7:13-14). Judging has become the only recognizable sin, and standing on principle has become the only ground for being expelled from fellowship. The world around us is being washed away, but the Christian community as a whole is unaware of its own peril. We stand and watch as freedom of religion (for Christians) is taken away bit by bit, even while we hear of the increasing persecution of Christians elsewhere. We are like frogs in the proverbial pot of boiling water, who not only just sit there but help turn up the heat, because we refuse to believe that there is any danger. Like American citizens who still believe their votes matter, Christians still think that “doing church” the traditional way is what Jesus intended. Many believe that the US, in fact the whole western world, has passed the point of no return. I believe the same can be said for the Christian community.